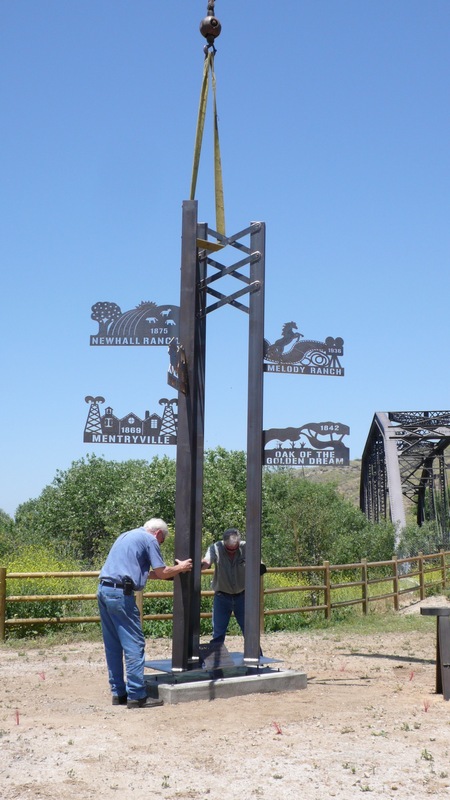 Crossroads at Iron Horse Trailhead was installed on May 17, 2012. It was promptly "bagged" to help prevent graffitti. The dedication is scheduled for June 15 at 10am. It will be unveiled at that time.